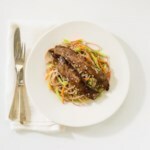 This easy marinated steak recipe uses Japanese miso, which is made from soy, barley and rice, and has a strong, savory umami taste. 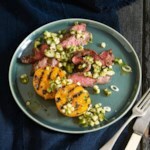 Miso is best known for its use in miso soup, but miso is amazing in meat marinades like this Asian steak marinade because it produces rich flavors in the meat. Look for sake (Japanese rice wine) where other wines are sold. Combine sake, mirin, soy sauce, ginger and sugar in a small saucepan; bring to a boil over medium-high heat. Remove from heat and whisk in miso until fully dissolved. Let cool. 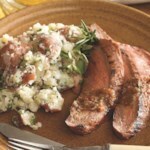 Place steak in a gallon-size sealable plastic bag and pour in the marinade. Turn the bag several times to coat the steak. Marinate in the refrigerator for at least 2 hours or up to 1 day, turning the bag a few times, if possible, to redistribute the marinade. 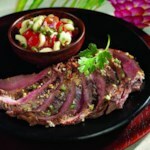 Remove the steak from the marinade (discard marinade) and let it stand on a plate at room temperature for 40 minutes. Pat the steak dry and brush with oil. 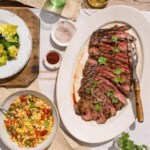 Place on a broiler pan (or directly on the grill rack) and cook, flipping once, until an instant-read thermometer inserted into the thickest part registers 125 degrees to 130°F for medium-rare, 3 to 6 minutes per side, depending on thickness. 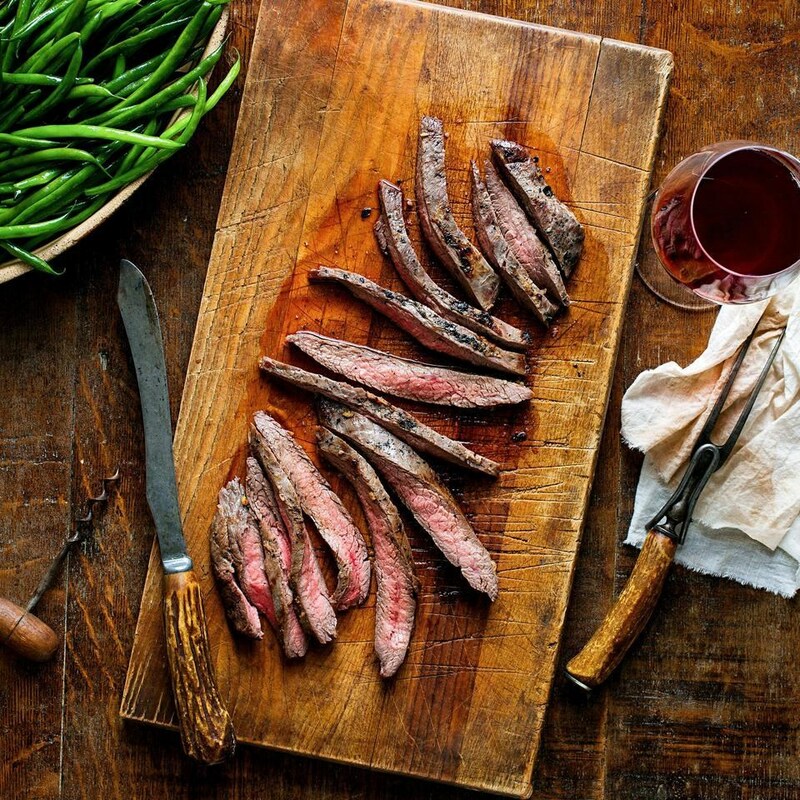 Transfer the steak to a clean cutting board and let rest for 5 minutes. 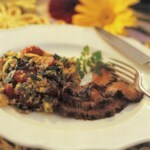 To serve, cut diagonally across the grain into ¼-inch-thick slices.